BEGINS MAY 13 - BOOKMARK IT! 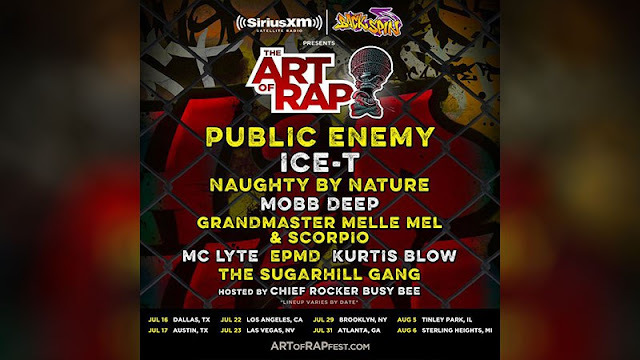 SiriusXM is giving away a trip to their SiriusXM Backspin Presents The Art of Rap Festival and possible meet and greets with Public Enemy, Ice-T, Naughty by Nature, Mobb Deep, Grandmaster Melle Mel and Scorpio, EPMD, The Sugarhill Gang, Kurtis Blow and more! You must be a subscriber since April 28th of this year to be eligible to enter this one.